So I kinda left my blog go for a long while now. But now that I've discovered this app and got an iphone. I just might start posting again. ;) I'm not sure how many of you, my followers are still here. But I guess I'll see and probably welcome new followers eventually ;). Oh la la! grosse tomate! eille, je pensais que tu avais abandonné blogger définitivement. moi j'y habite toujours. 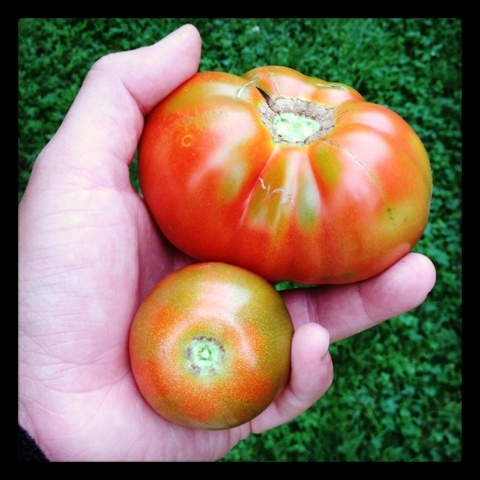 Keep enough time for your garden, your tomatoes look pretty good.